On Thursday 16 March 2017, a Malawian Airlines’ all-female crew flew the national carrier’s Bombardier Q-400 from Blantyre, Malawi, to Dar es Salaam, Tanzania. This flight was the first of its kind in the history of the country and the airline. The airline’s maiden all-women operated and supported flight is being celebrated across the continent. The Bombardier Q-400 flew from Blantyre to Dar es Salaam and back with Capt. Yolanda Ndala Kaunda, First Officer Lusekelo Mwenifumbo in command of the flight deck and flight technician Saba Solomon certifying take offs. The Control Towers at Kamuzu International Airport (KIA) where a reception was held before take off for Dar es Salaam were also in the able hands of three women: Patricia Mwafulirwa, Chikondi Chadza and Jelia Kalinda, the Malawian Airlines’ spokesperson said. Josephine Chapuma and Isabel Kamanga took care of the cabin completing the set of the all-women crew. Security, Check-in and fire fighting personnel were all women. 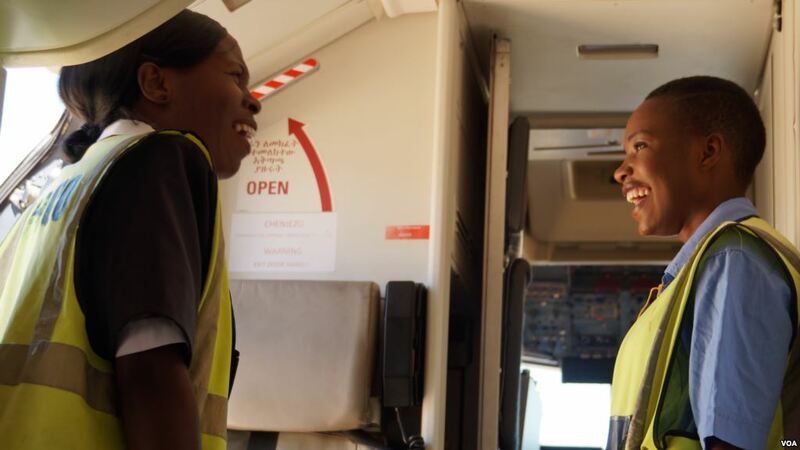 Malawi Airlines Chief Executive OfficerAhadu Simachew said the ‘special flight’ was organized to showcase that women were capable of handling challenging endeavors, such as flying, which are mostly dominated by men. Captain Yolanda Kaunda previously made headlines, when she became Malawi’s first female flight captain in 2016. Captain Kaunda’s achievement was met with much accolade on social media where she was hailed as an inspiration for women and young girls. 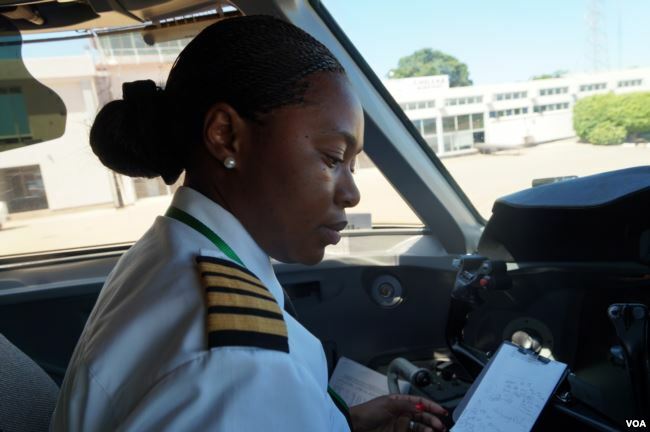 Captain Yolanda Kaunda and her all-female colleagues followed in the footsteps of Zimbabwe, which made similar history in 2015 when Air Zimbabwe’s Boeing 737 was piloted by an all-female flight crew who flew from Harare to Victoria Falls.